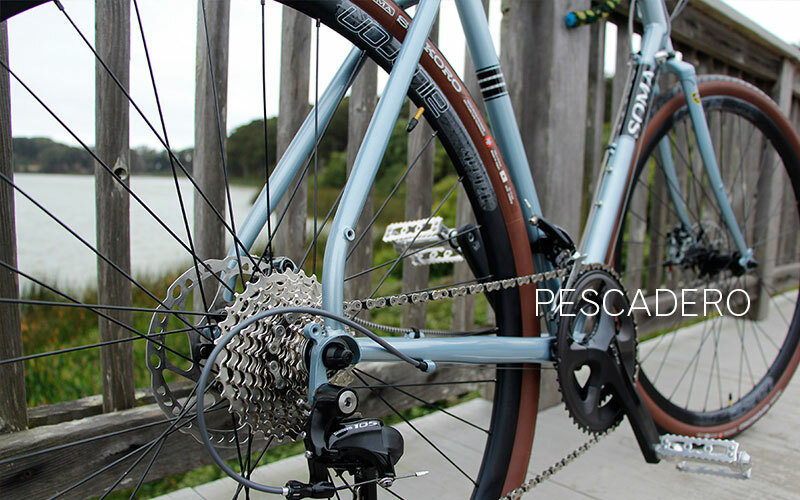 Based in San Francisco Bay Area, Soma undeniably contains the essence of everything we love about bike builds. 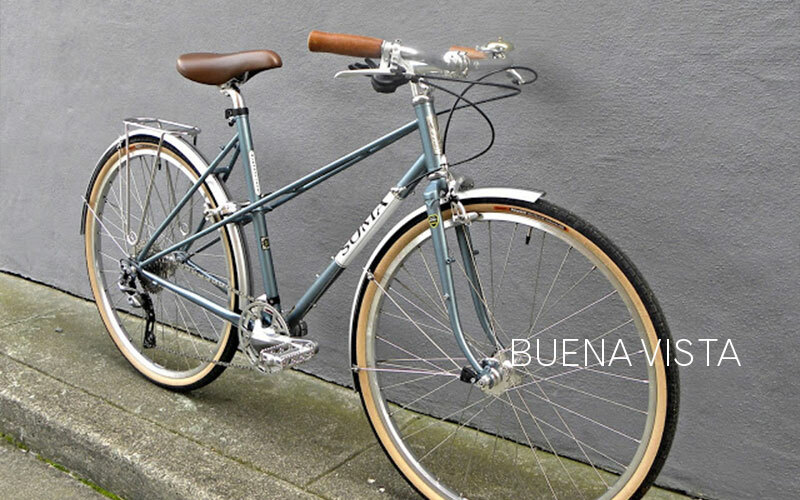 Practical, durable, comfortable bikes built for the everyday rider. And by everyday we don’t mean “commonplace”, “unremarkable” nor “ordinary”. We mean they’re built for the passionate person who gets out and rides everyday or almost everyday. Those who would like to use their bike for commuting, for work, for errands and for the pure joy of the ride. Making bike frame geometries exactly like what we ourselves would like to ride, the frames are made out Tange Prestige butted Chrome Moly steel. 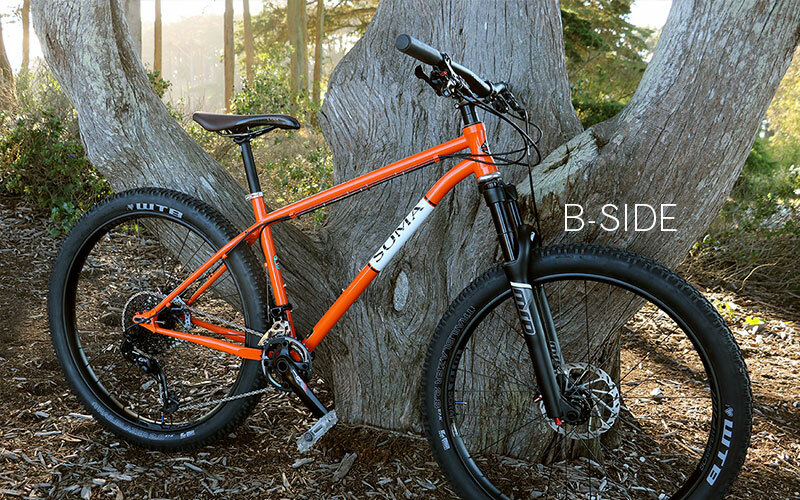 Once on your bike, you will discover why so many people still swear by steel. Each design comes with all the crucial details that add up to some of the best riding anyone can get. In other words, riding Soma is about all year round riding, a strong bike culture and creating a great place to live and cultivate new ideas. With this in mind, come visit us for a bike build that stands out and reflects who you are. 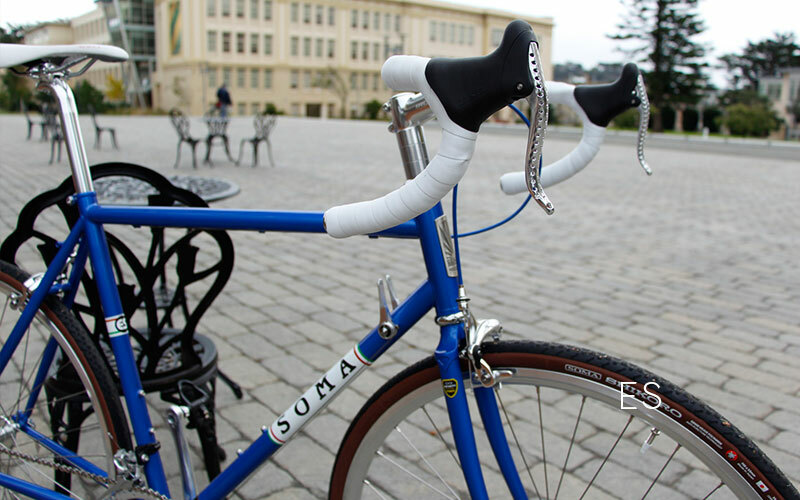 Get your custom SOMA bike built today. Our customers desire the freedom of customization– for performance reasons and for expressive reasons, but none of them want to end up eating Top Ramen for a year to get a great bike. A bike that you can keep riding longer means your money is going farther. Since 2007, we have been exclusively using Tange Prestige butted CrMo steel. Tange’s heat-treatment process lets us offer our strongest frames ever, but still at a fair price. And the ride is lively and smooth like buttah. Fun is not complicated. Why should our frames be? No weird geometries, just what we ourselves would like to ride. As for colors and graphics, we’ve made a conscious choice to avoid “race-inspired” billboard-style logos. We find this makes it easier for folks to cover them up with stickers and chewing gum. Where does Soma produce its frames? They are designed in San Francisco. They are hand welded in Taiwan. Please note most big bike makers have moved most of their production to mainland China, which does not yet match the quality of Taiwan. Because of continued investment over the decades, Taiwan probably has the most impressive infrastructure for bicycle and bicycle parts manufacturing of any country. What is the warranty on a Soma frame? We offer a 3-year limited warranty against defects in manufacturing and workmanship. Limitations apply. Frame abuse and neglect negate the warranty. Forks have a one-year warranty. 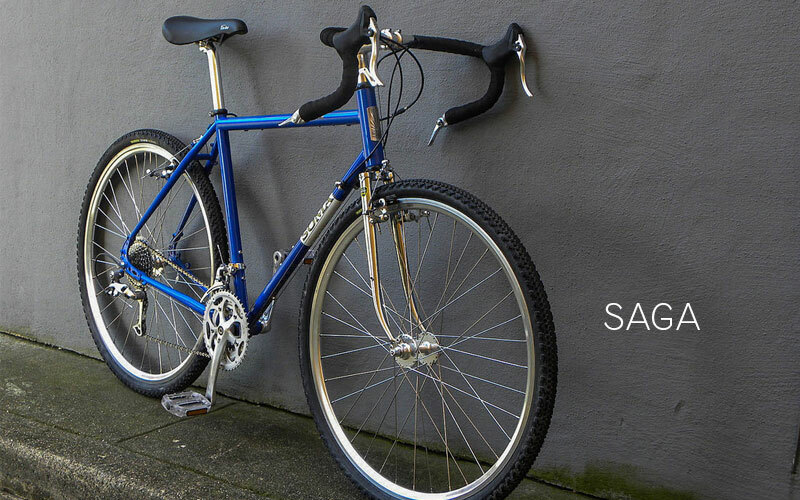 If Somas are made overseas like most bikes, what makes a Soma more special than any other bike? I’d have to say the thought put into it. 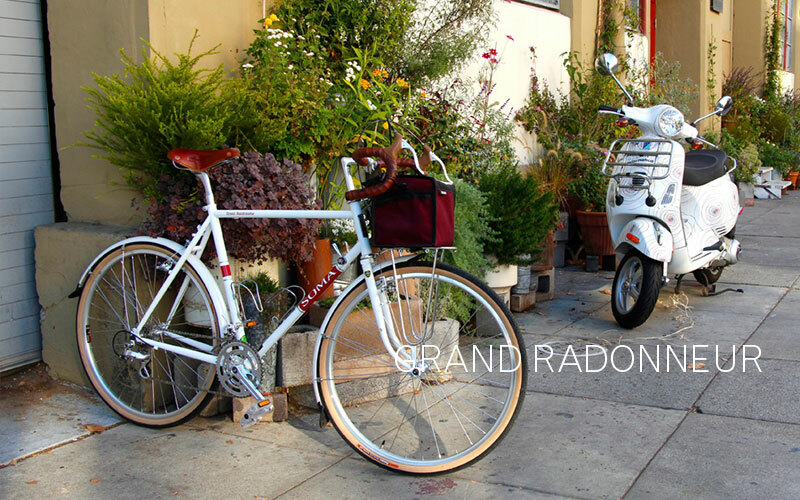 Bradley Woehl, one of the founders of Soma, co-owns one of the most venerable bike shops in SF. He carries many top brands, but he felt they weren’t making the bikes that fit his customers. We have been about practical bikes from our inception. While other makers spend most of their brain power on wind tunnels, suspension technology, or how to make something crazy light, we are looking at the bike’s utilitarian beauty and coming up with efficient, comfortable-riding, stylish (and fast, too) solutions that don’t diminish that utilitarian beauty. – Low-key graphics that don’t make you feel like you are riding a billboard. – A large size range so taller/shorter riders are not neglected. 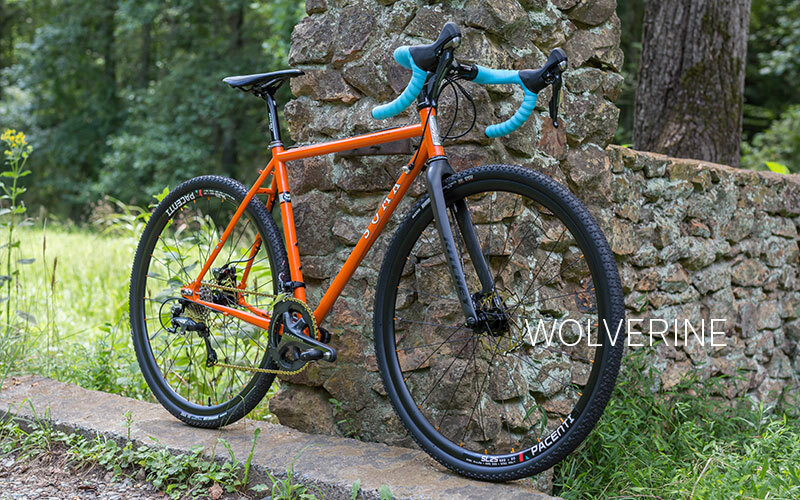 – Affordable frame that one can custom spec components of their choice. How many frames do you make a year? Another factor that sets us apart from mass production bikes is that we are not mass production. While others may make 5000-15,000 units of a single model in a year, we will make only 200-300. Why do you use steel, when most people are using aluminum? What drives the bike industry to use aluminum right now because of aluminum’s low price and relatively light weight. But to put it simply, in $500 or less price range, a quality steel frame still offers better ride feel and strength characteristics than an aluminum frame. Ride Feel: Aluminum generally transfers more road buzz and ‘shock’ to the rider than steel. The ride of quality double-butted steel is stiff and lively, without being harsh. Durability: If you don’t abuse your steel frame, it will last for years. Steel has a finite stress limit below which fatigue does not occur, regardless of the number of cycles. Aluminum (including high-end Scandium) under stress will continue to fatigue until failure. Carbon fiber has come a long way since the early 2000′s. Manufacturers with sophisticated lay up techniques can tune a bike’s stiffness and ride characteristics very well. And a steel frame can never be made as light as today’s carbon frames. If you are a serious racer, carbon is what you want. 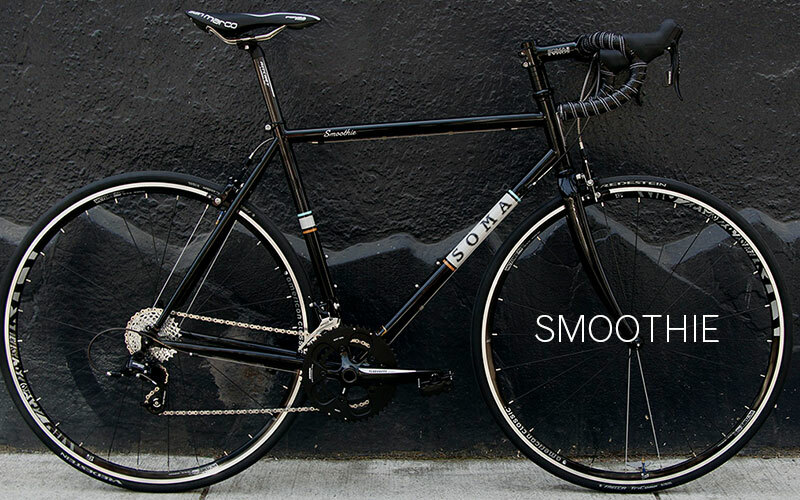 However the well-designed carbon frames are much more expensive than a Soma. Cheaper carbon frames usually ride too stiff. And even though carbon has some incredible strength and fatigue characteristics, most cyclists would be more afraid to crash a carbon bike vs. a steel bike. What is stronger– Air-hardened steel or CrMo steel? * Air-hardened steels actually gain strength in the weld area after welding, but not along the whole tube. Is all double-butted CrMo tubing the same? 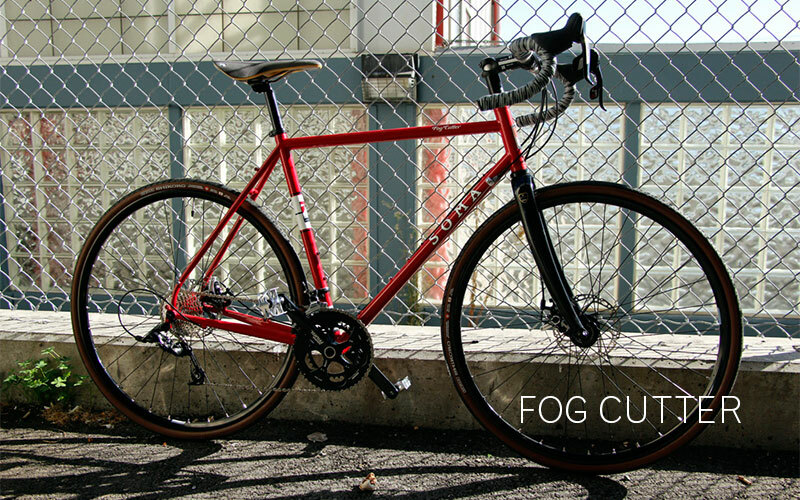 There has been a lot of internet chatter that bike brands who make their frames in Taiwan just use the same factories and there’s nothing to distinguish them from one another. Frankly that is just another case of folks who take a little bit of knowledge and then overgeneralize. It is the same deal with tubing. Basics: A double-butted tube is a tube that is thicker on the two ends than in the middle. The tube is thus stronger at the ends and there is more material in weld areas, which is desirable for a strong weld. Tubing manufacturers can create tubes of varying wall thicknesses. Butted sections can be long or short to tune performance and cut weight furthur. Thicker double butted tubing with long butting may be great for BMX, dirt jumping and for keeping a frame’s price low, but you lose the springy, lively quality that steel is famous for. Super skinny tubes on vintage road bikes with super thin profiles may feel too flexy and whippy for some riders. So Brand A’s double butted tubing can vary a lot from Brand B’s (and we haven’t even discussed construction methods and heat treatment). We carefully choose tubing gauges and tubing diameters that preserve the ride quality of “good” steel, but we always take into consideration long term durability as well. Are forks included or optional? Forks are available, but optional on most models. On most of our models, you don’t have to take it if you already have your own. What tire sizes fit your frames? 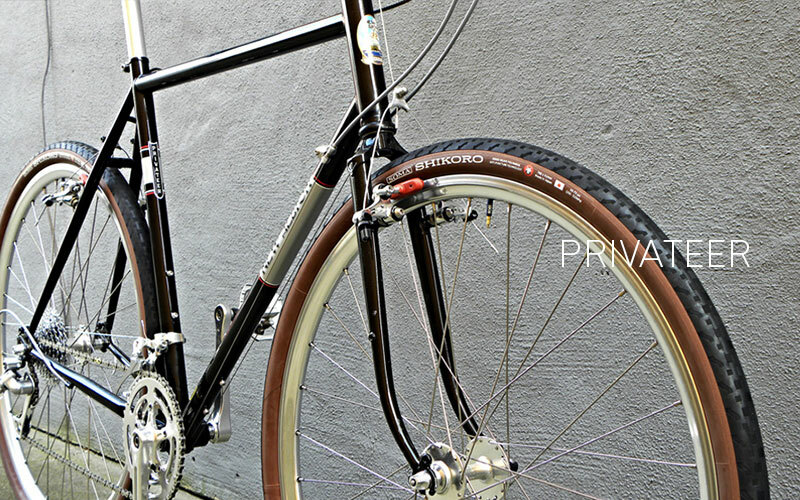 This is a loaded question since makers vary on their sizing… a 26c Panaracer may run noticeably narrower than a 26c Michelin. We offer a general max. size on each frame description page. Can you help me find my size if I give you my specs? It is almost impossible to correctly size you over the phone or via e-mail. There are many variables involved besides standover height and seat tube length. Sizing is best done at a shop. We recommend you go to a reputable shop and get sized. Usually they will evaluate your body measurements, flexibility and the type of riding you plan to do. Armed with this information, you can better utilize the geometry information available on our website, They can also help you find the correct saddle height and fore-aft position, stem height, etc. I just bought a frame, is there any prepping needed before I start to build it? We highly recommend you take your frame to a bike shop to be built. If you must do it yourself…You don’t want to start building a frame only to find something wrong with it in the middle of building. Check frame and fork alignment. Face the BB and headtube. Chase the BB. Check for burrs in the seat tube that might score your seatpost. Optional: Treat the insides of the frame with J.P. Weigle’s Frame Saver for corrosion protection. If you do not have facing and chasing tools, try to look for resources in your area. In SF and other cities there are non-profit “bike kitchens” that let’s you go in and use their tools for free.